Wednesday afternoon, AFSC was part of a small delegation that met with DeKalb County Police Chief Cedric Alexander about the Kevin Davis case. For those that don't know, Kevin Davis called 911 after his girlfriend had been stabbed. Police showed up, walked into his home, and shot and killed his 3-legged dog. Kevin assumed that the person that had stabbed his girlfriend was back, and grabbed an old gun that apparently didn't even work. At no point did Kevin threaten the officer, or point the gun at anyone. 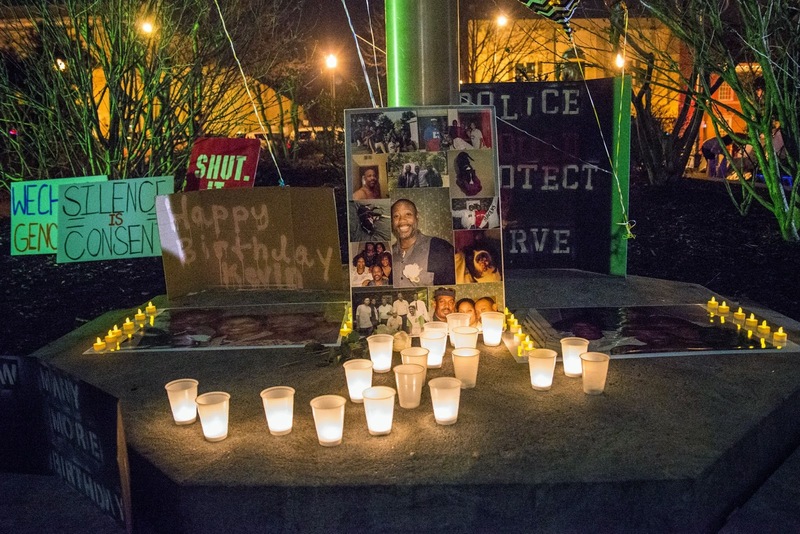 Police shot Kevin multiple times, and then arrested him for aggravated assault. Kevin's family wasn't allowed to see him as he slowly died over the course of several days. Yesterday, Kevin would have been 45 years old. 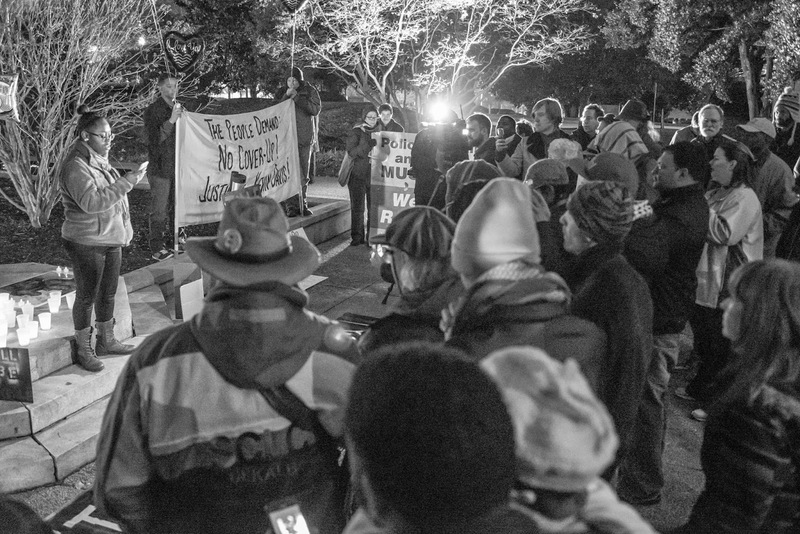 Kevin’s family, friends, and co-workers called for a vigil at the DeKalb County Courthouse yesterday, to mourn his murder at the hands of police, and call attention to their demand that the DeKalb County DA call for a GBI investigation. The fact is that the police account of what happened when they responded to the 911 call dramatically differs from eyewitness accounts. The vigil was powerful. Family and friends spoke about the kind of man Kevin was. Kevin’s niece, who will go unnamed, as she is a minor, was upset that her family had not received an apology for her uncles murder, said, “Since the police officer or any other higher authority will not step down from their position to apologize, I will. I’m sorry for what they did to you. You didn't deserve it, you are a good man, and I just want to say happy birthday". Kevin's sister, Delisa Davis, tearfully said,“it's been 30 days since my brother was shot, but it still feels like yesterday. We want the DeKalb County DA to allow the GBI to investigate Kevin's murder”. 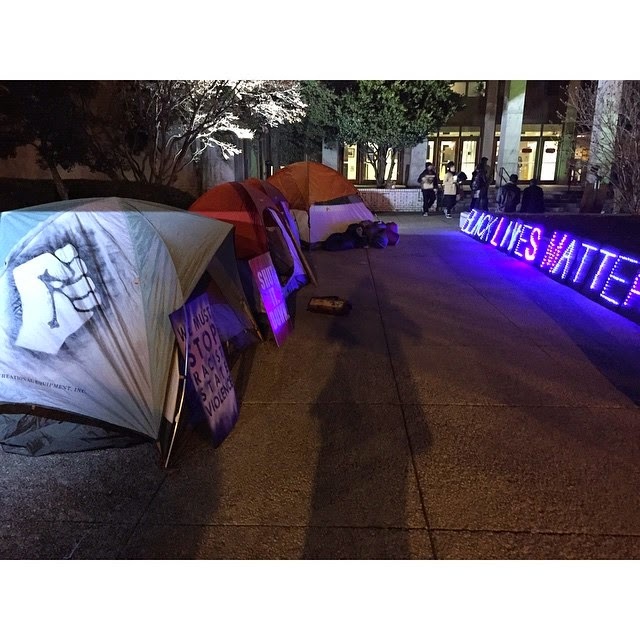 In an effort to force a spotlight onto the issue, a coalition that included AFSC, The Gen Y Project, #ItsBiggerThanYou, The CommUNITY, Rise Up Georgia, Malcolm X Grassroots Movement, and others, decided to pitch tents at the courthouse and stay the night in 30 degree whether, risking arrest. 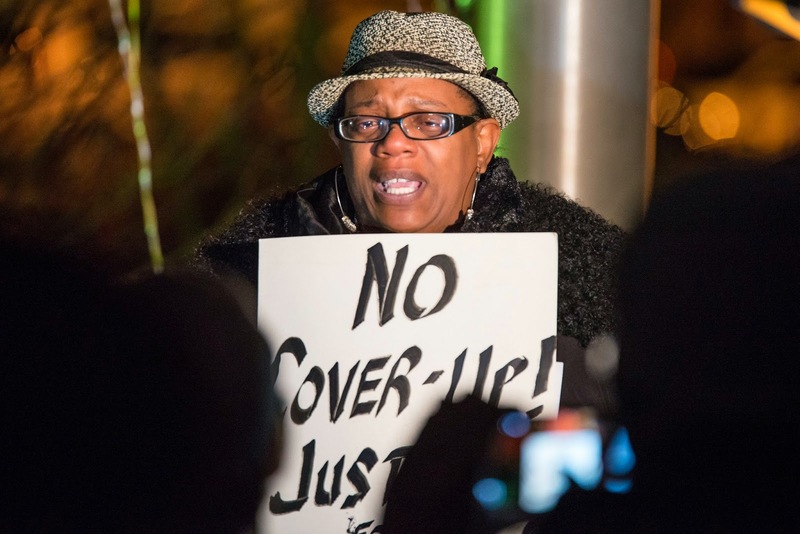 Dozens braved the cold together, and passed out thousands of fliers around the courthouse in the morning, making the family's demands for a GBI investigation crystal clear to the DA. Of course, there are broader implications here.The very safety of the community is in question. 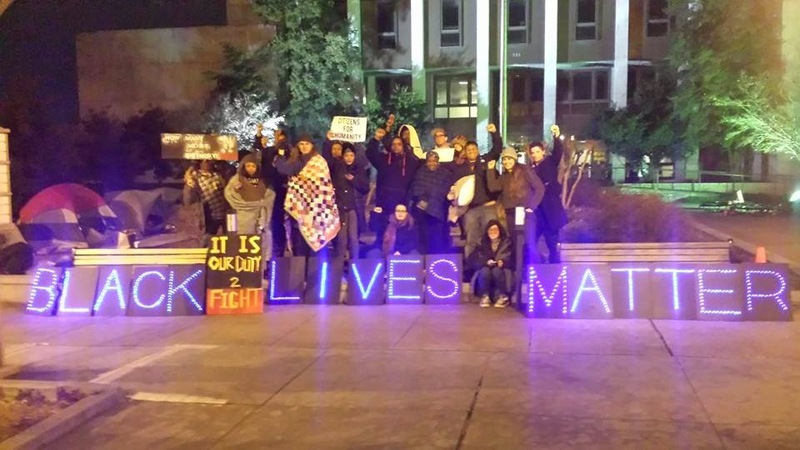 Is it safe to call 911 for black and brown people in DeKalb County? Can police be trusted to investigate themselves after they shoot a man and his dog in his own home? We encourage all to sign and share the petition asking DeKalb County to allow the GBI to investigate Kevin Davis' murder.